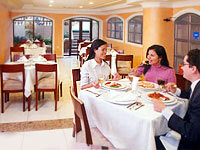 The Barranquilla Agency Hotel is a four star hotel with a welcoming atmosphere and friendly service. This modern hotel offers first class accommodation and facilities in Barranquilla and is ideal for both tourists and business travelers. The friendly, helpful and readily staff is available to answer your questions or help fulfill any needs you may have. 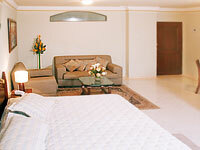 The hotel has cozy and comfortably furnished rooms. All rooms are recently built and feature 29" TV, computer access, safety box and mini-bar. The tastefully furnished restaurant with an exciting and varied menu offers guests an excellent choice of both local and international food and drink.